several freshman struggling with the many choices college presents, George guides them through subjects such as the social adjustment, the academic workload, and the hookup culture. The Dialogues also deal with the problems that George himself faces in his postgraduate life. As the story progresses, we learn that there are plenty of answers George is still hoping to find as he discusses the pursuit of happiness with his mentor, Professor Mycroft, who has a different view on George’s generation’s outlook on the future. 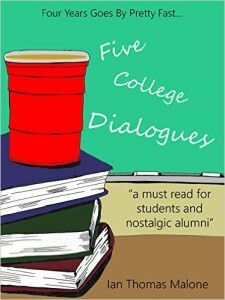 Five College Dialogues is a perfect resource for students as well as anyone who wants to relive their four years in an entertaining fashion. 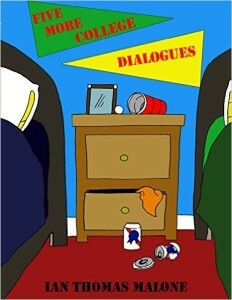 Purchase Five College Dialogues here! Purchase Five More College Dialogues here! High School, a rite of passage for all American teenagers, can be a daunting experience. Wouldn’t it be nice to have a little help along the way? George Tecce, known as The Chief, takes a hiatus from his collegiate adventures to help students navigate through the often daunting labyrinth with his signature oft-kilter enlightening comedy. No topic is off limits as The Chief breaks down high school for students and parents discussing such topics as bullying, prom, and the dreaded group project. 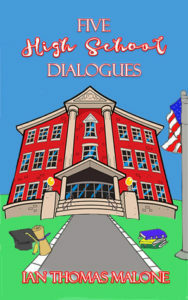 Refreshingly unique and accessible, Five High School Dialogues is the perfect all-inclusive guide to high school. 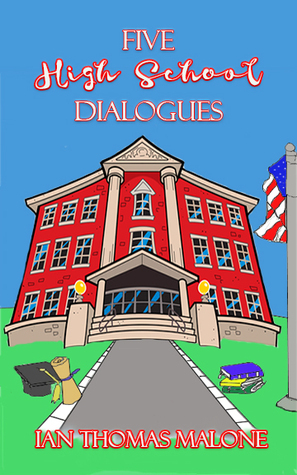 Purchase Five High School Dialogues here! Public transportation is a new experience for Amber. So is not having access to a cell phone. Luckily, a classmate named Jason is there to help. During their travel, Amber quickly learns that her perspectives on life aren’t quite the same as her peers. 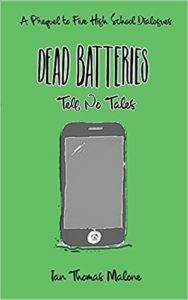 As they make their way home, they try to break down the foundation of their social structure in this exciting prequel to FiveHigh School Dialogues. 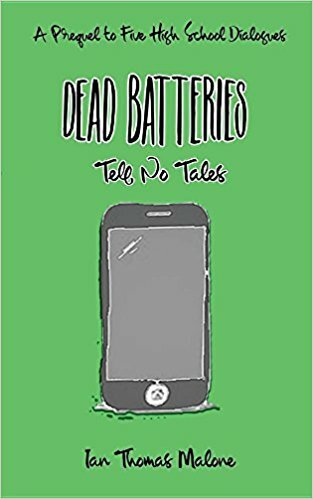 Purchase Dead Batteries Tell No Tales here! Accordingly I went to one who had the reputation of wisdom, and observed him — his name I need not mention; he was a politician whom I selected for examination — and the result was as follows: When I began to talk with him, I could not help thinking that he was not really wise, although he was thought wise by many, and still wiser by himself; and thereupon I tried to explain to him that he thought himself wise, but was not really wise; and the consequence was that he hated me, and his enmity was shared by several who were present and heard me.